Ships tomorrow if you order in the next 19 hours 28 minutes. Maintaining a healthy pH balance throughout your body is important to your overall health. When you maintain a slightly alkaline level of 7.35 to 7.45, you may help your body avoid the negative effects of high acidity levels, including constipation, poor metabolism, fatigue, indigestion, and hormonal imbalances. Testing your pH levels on a regular basis is a great idea. It's also simple and only takes a few minutes for each test. 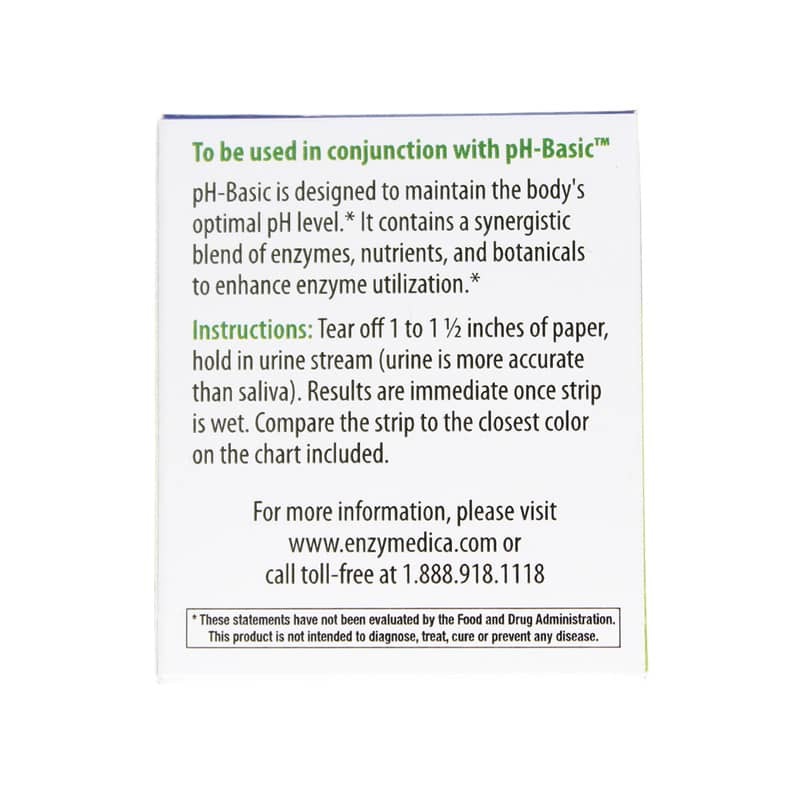 pH-Strips from Enzymedica are the ideal method for testing your pH levels. These quality strips come in a fifteen-foot roll and are dispensed one at a time. Make the choice to maintain optimal health. Testing your body's pH balance has never been easier or quicker to do! 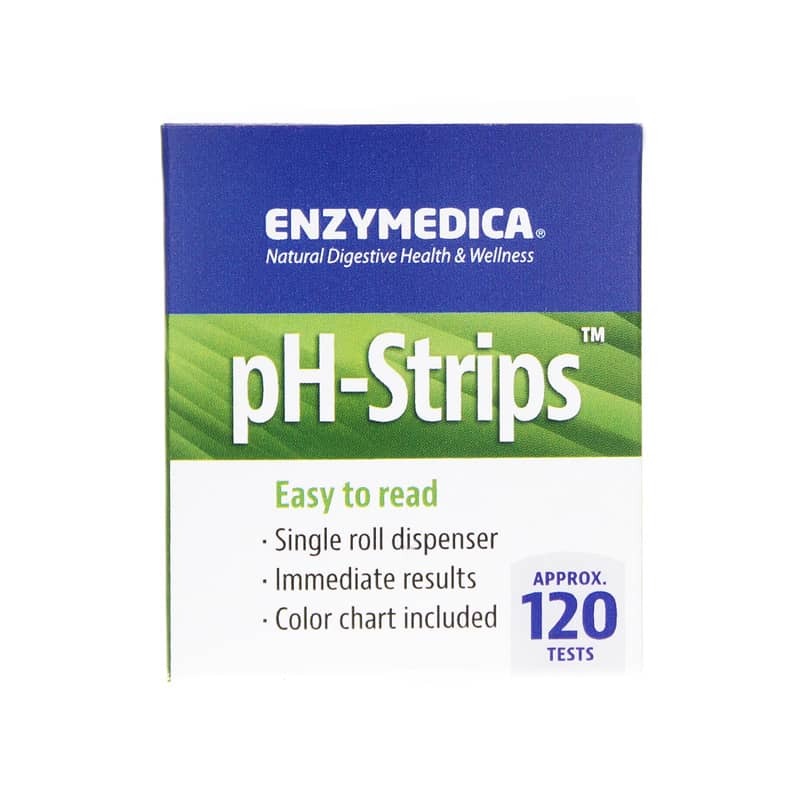 Start using Enzymedica's pH-Strips today for a simple and accurate way to keep yourself pH balanced for optimal health and wellness. They are GREAT - a fast and simple color guide. 7 colors that range in .5 increments from 4.5 (bright yellow, highly acidic) to 7.5 (navy blue, ideal alkaline). It is SO easy. At 15 feet per roll it lasts forever. You can use half an inch - that's 360 tests. I think it is one of the most wonderful health tools and buys on the market! I had these years ago and they expired. I wanted to check my acidity and to me, these strips are the best way!